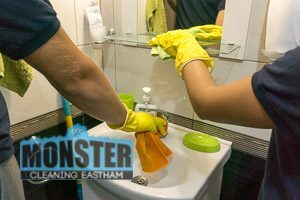 Monster cleaning East Ham, is an accredited and dedicated cleaning company! 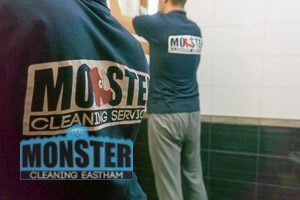 Monster Cleaning East Ham, is an accredited and dedicated cleaning company! As a small business it was not easy to achieve today’s leading position on the market. We invested a lot of resources to examine the market share of our competitors, as well as in our relation with our loyal customers. So now we can beat any company and provide a great service. We have many cleaning teams located in many of the boroughs in London. 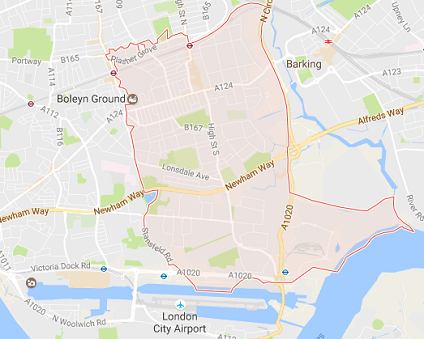 If you are not sure if we cover your area, please call us on 020 8077 1636 and one of our well informed office assistants will be more that happy to assist you. Our working schedule is very flexible and we have the capability to accommodate all of our customers, because we work every day, Monday to Sunday, including holidays! Our services can be booked in the morning or in the afternoon! There are no additional charges and fees on top for services on weekends! We work with people which are up to the requirements of professionalism and working standards. They are ambitious, friendly, initiate, trustworthy and reliable. Every employee is an important part of our team, so we take care for their motivation and satisfaction from the work. We provide various trainings and seminars to improve their skills and help them develop new cleaning techniques. All of the customer representatives are friendly, well informed and competent. They will lead you through the booking process and will answer all of your questions. Our prices are budget friendly and within the means of any pocket! However this does not mean that we compromise with the quality of our job, just the contrary. Our prices include the cleaning materials and equipment, needed for the service! For example our commercial cleaning can help get your office premisses sanitized and will motivate your workers and impress your customers! Bringing you more productivity and happines. Our cleaners are fully vetted and police checked so you do not need to worry for the safety of your office!